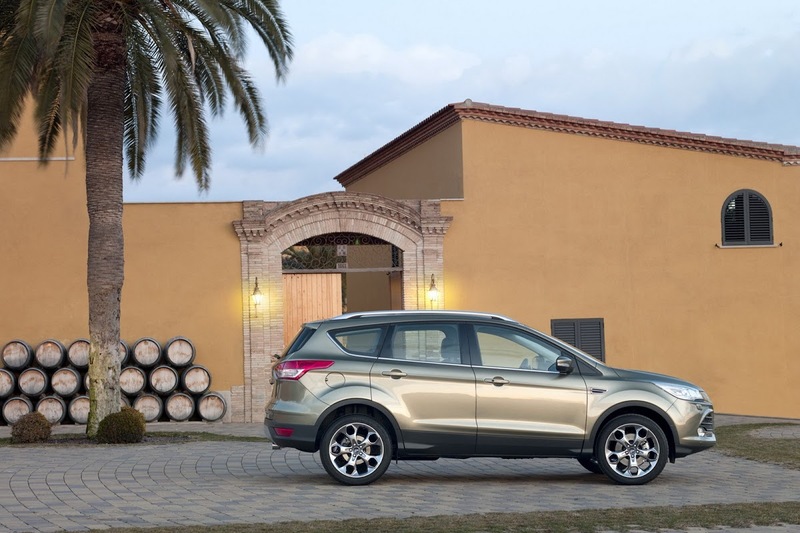 Ford’s answer to the ailing European market is products, products and more products. 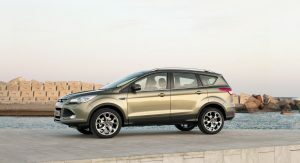 In addition to the announcements on the new Mondeo family, the updated Fiesta, and the next Mustang, Ford revealed today that it will enhance its SUV line-up in Europe with not one, but three new products in the upcoming months. 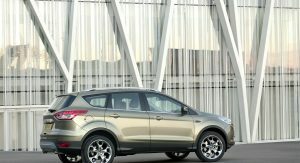 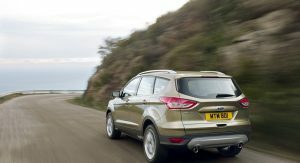 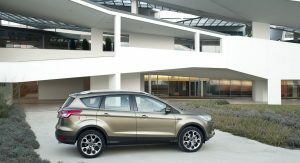 Ford said it expects to sell more than one million SUVs in Europe in the next six years with SUVs accounting for one in ten of all Fords sold in the region by 2016. 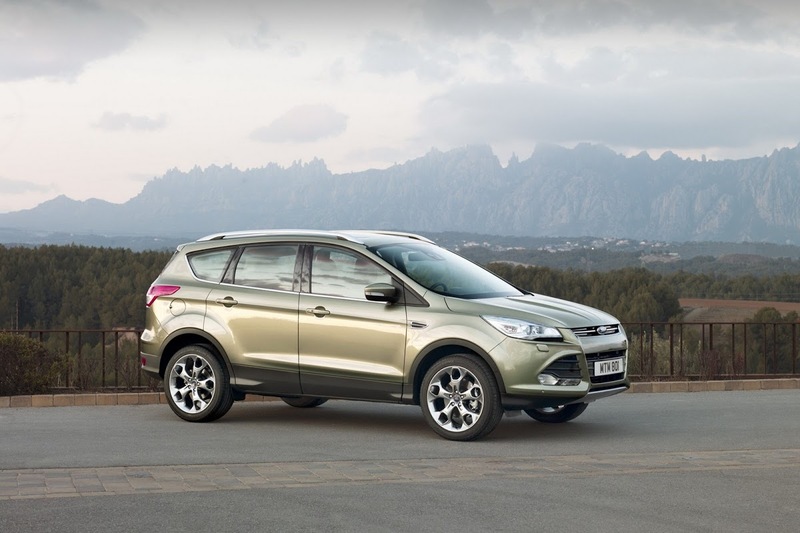 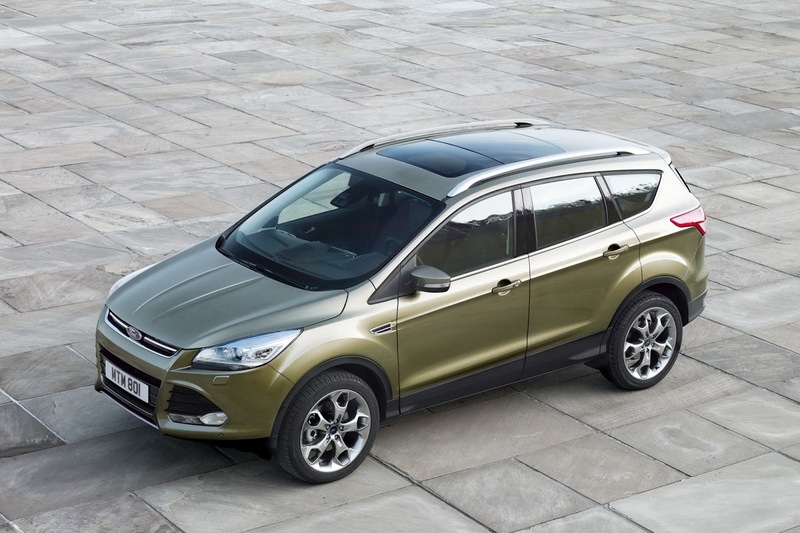 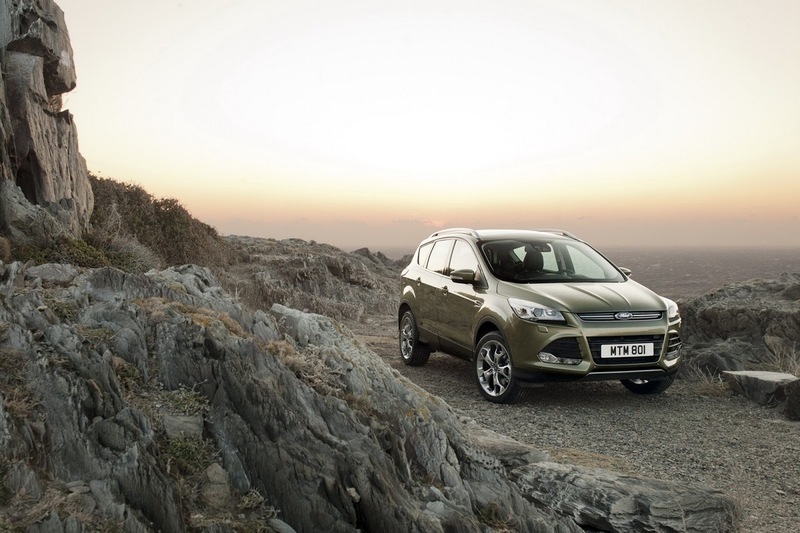 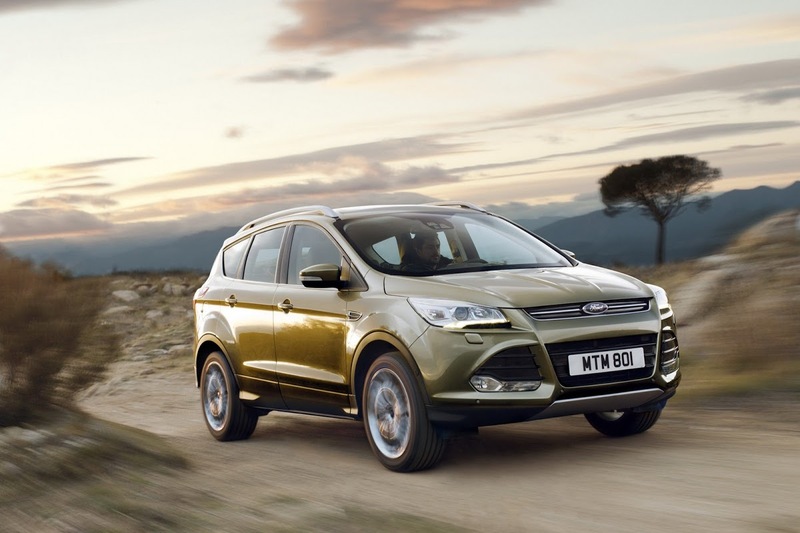 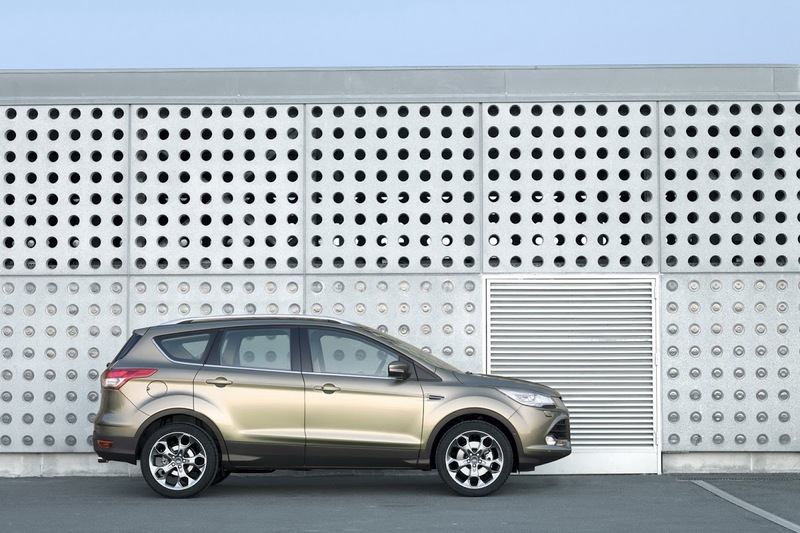 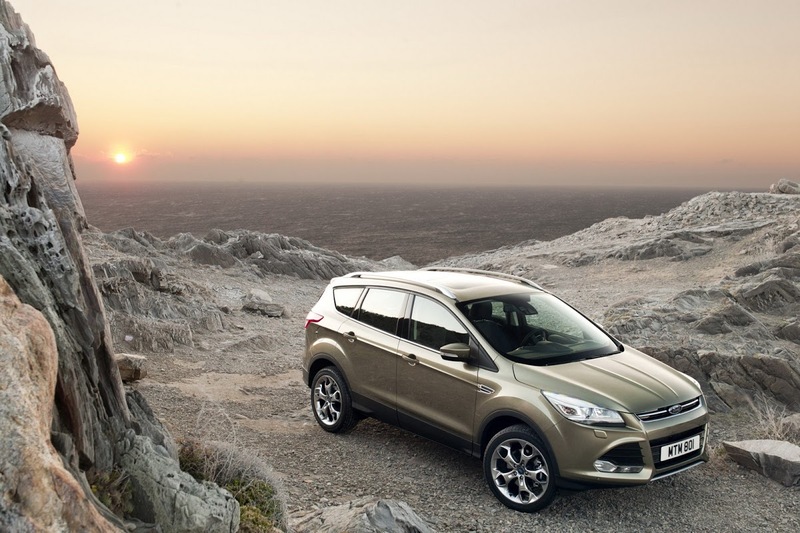 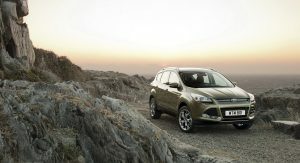 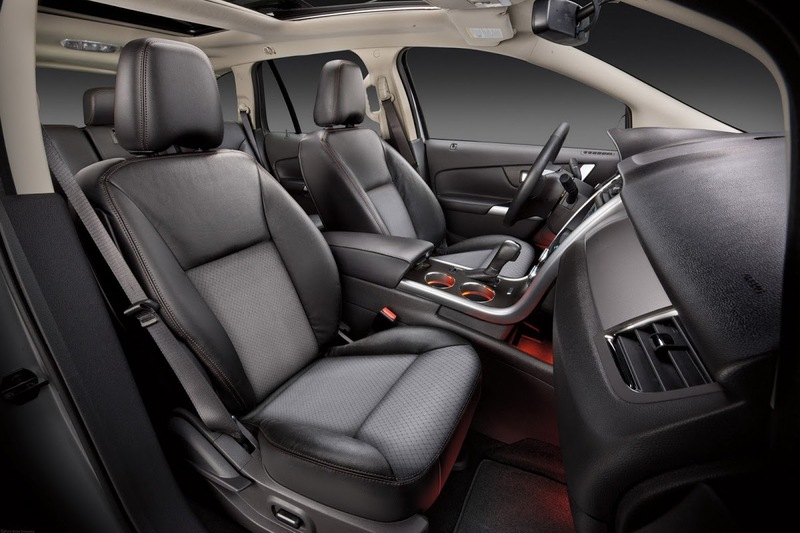 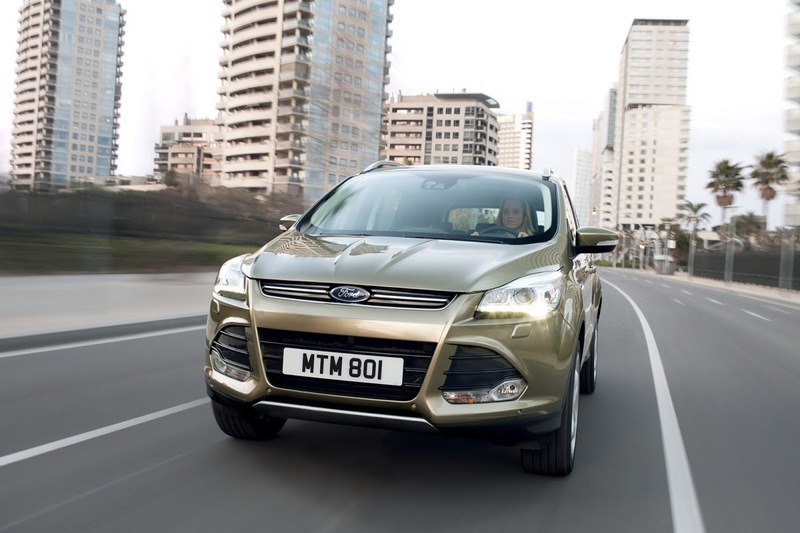 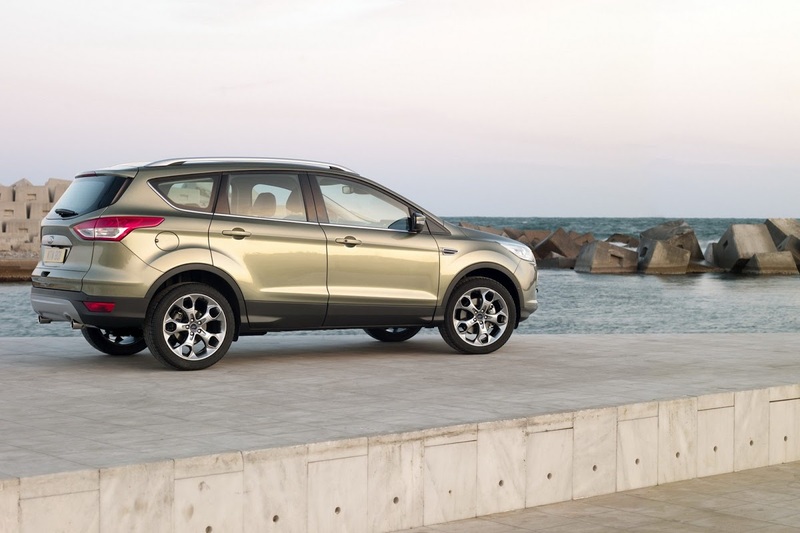 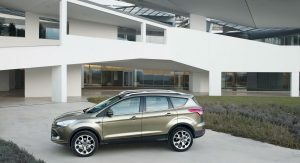 The first model to arrive is the new generation of the Kuga that was presented at the Geneva Salon back in March. 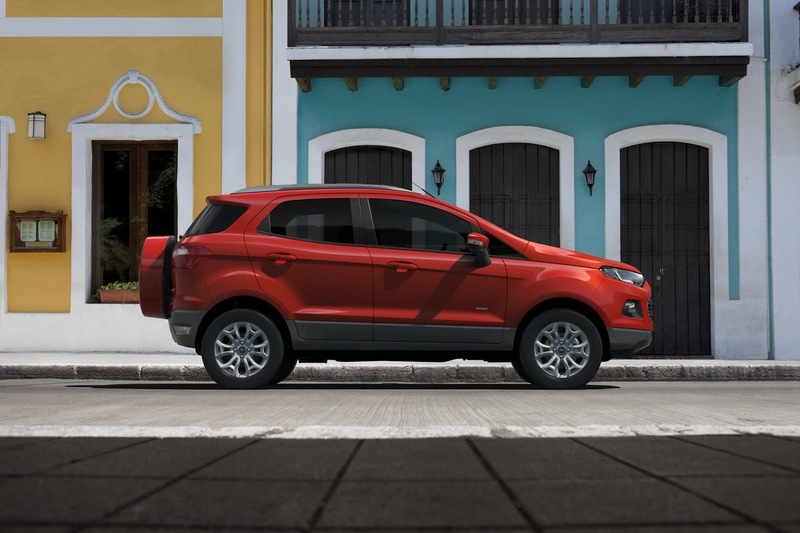 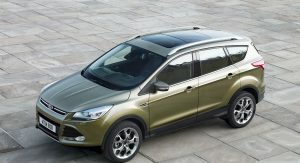 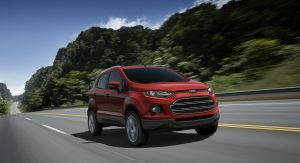 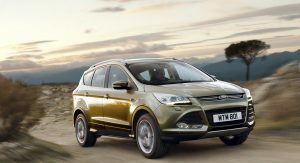 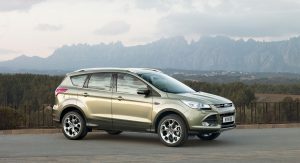 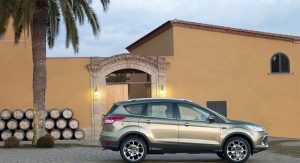 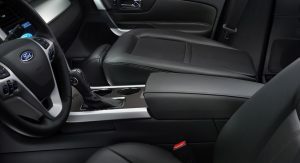 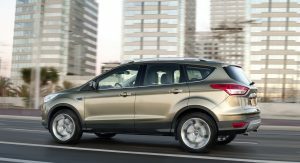 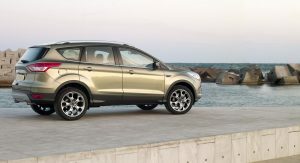 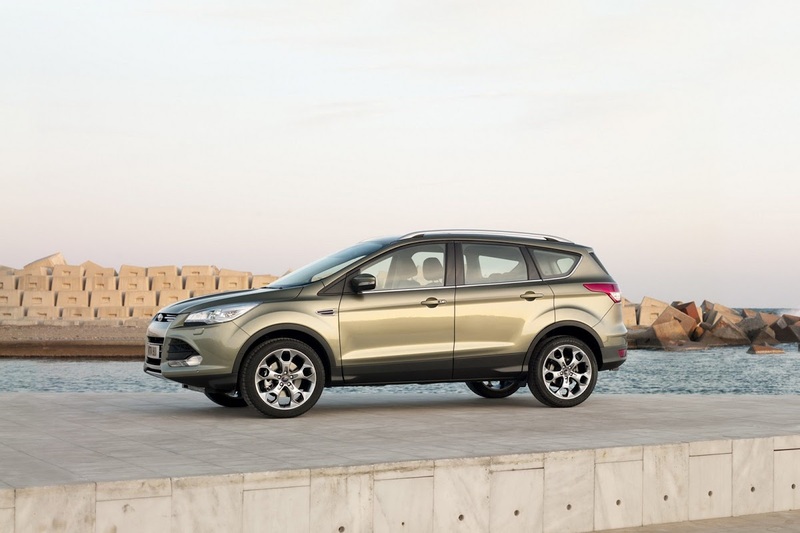 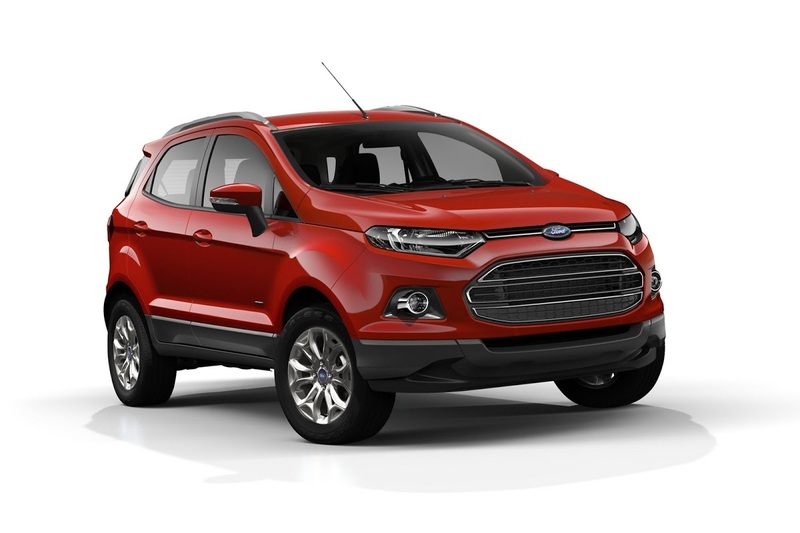 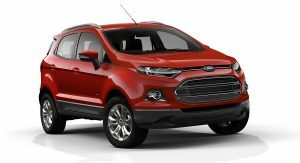 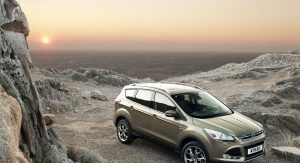 The compact model is a re-named version of the North American 2013 Escape and it will go on sale in Europe towards the end of the year with a choice of two 2.0-liter diesel engines delivering 138hp (140PS) and 161hp (163PS), and a 1.6-liter EcoBoost turbo petrol. 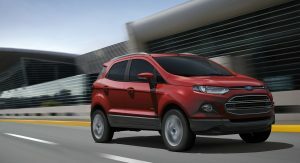 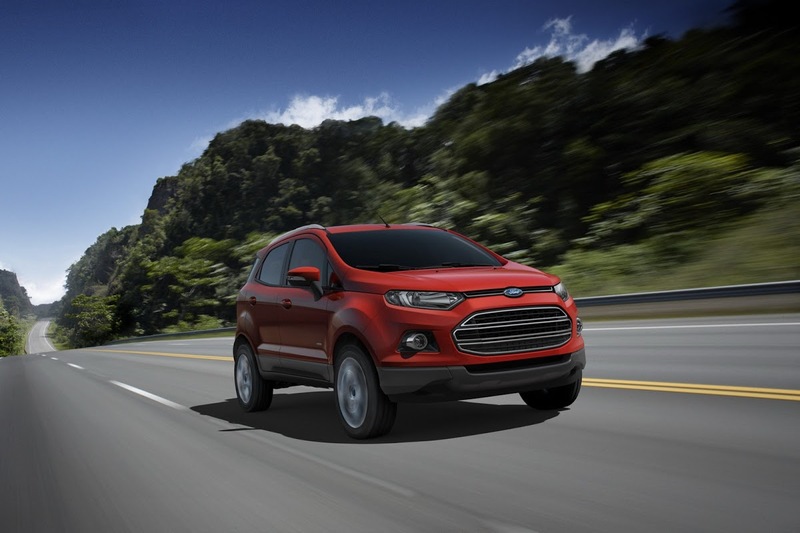 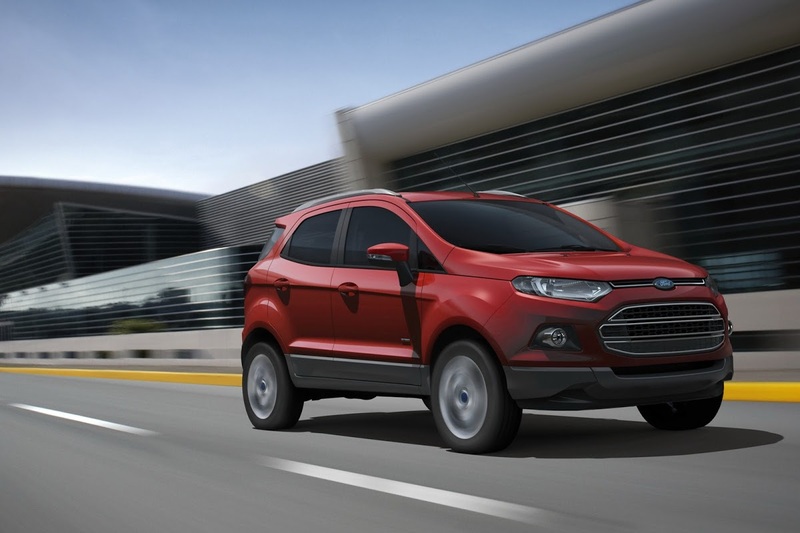 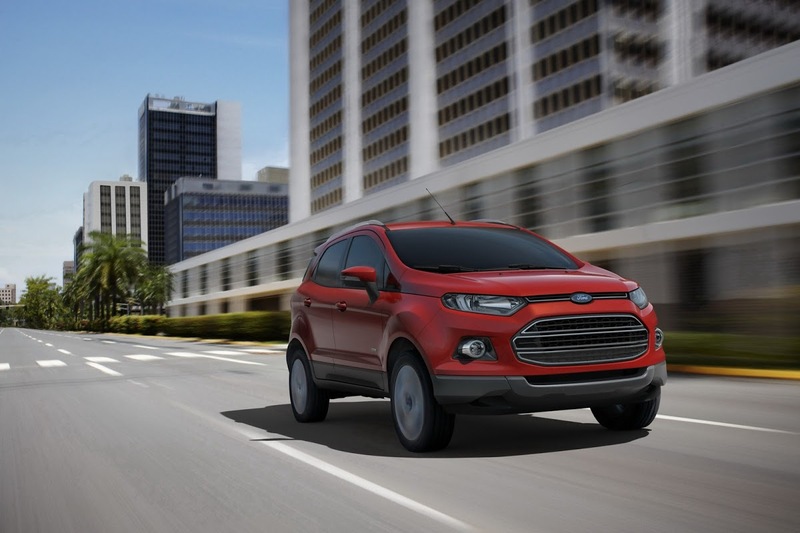 The second model for the European market is the smaller EcoSport unveiled at the Beijing Auto Show in April. 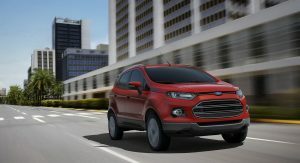 Ford’s global small SUV will compete with the Nissan Juke and will be offered in Europe with a 1.0-litre, three-cylinder EcoBoost petrol. 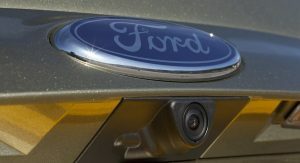 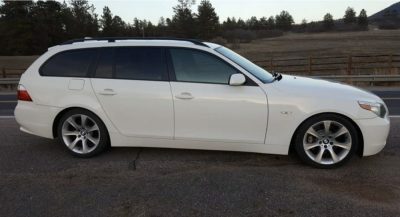 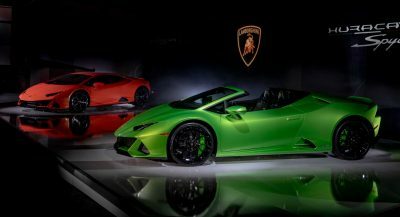 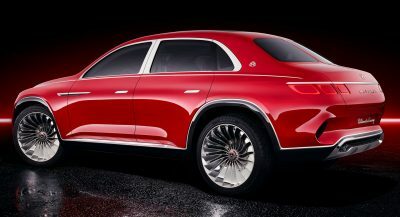 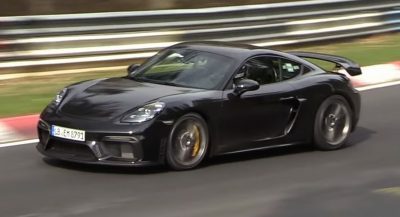 The Blue Oval said it expects the car to reach European showrooms within the next 18 months. 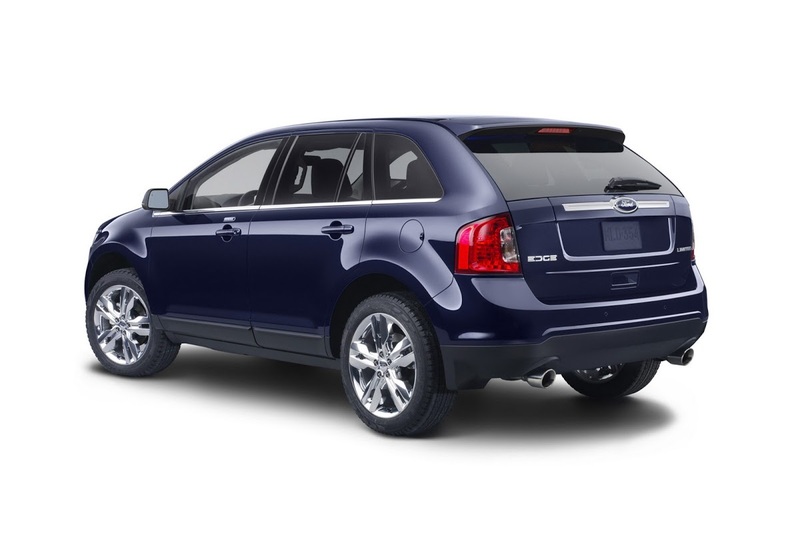 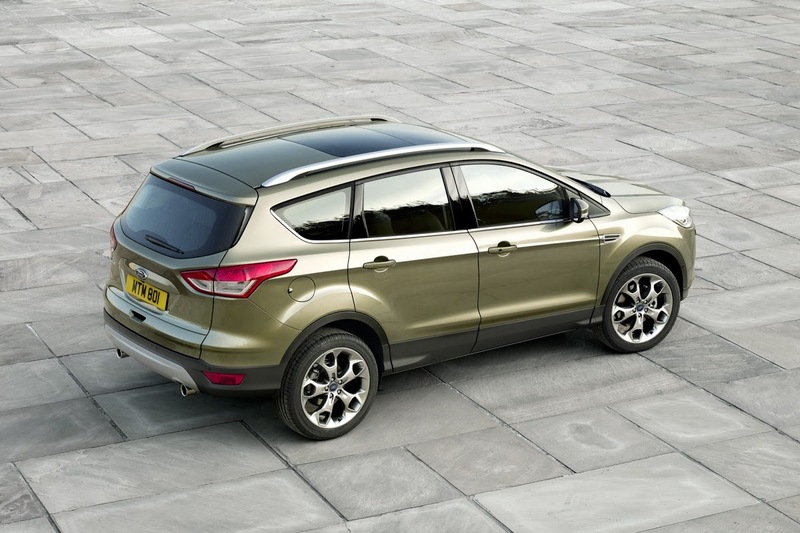 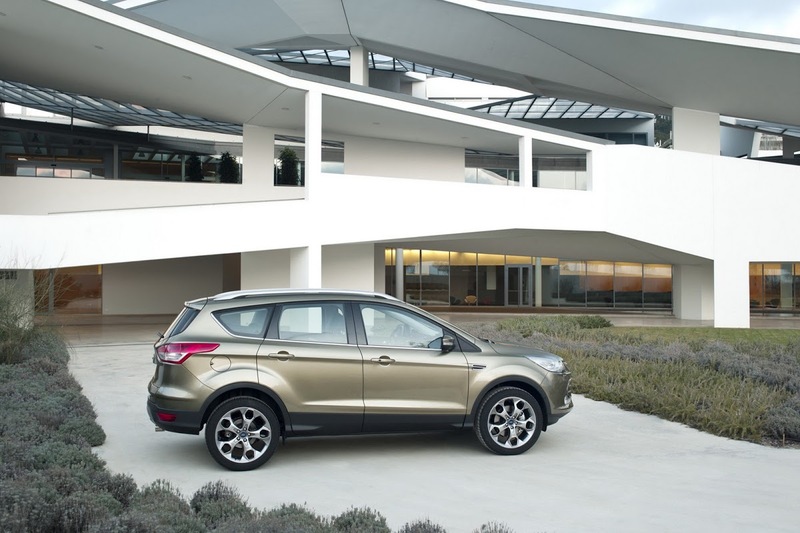 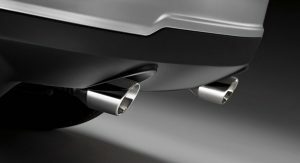 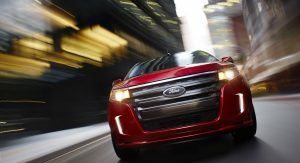 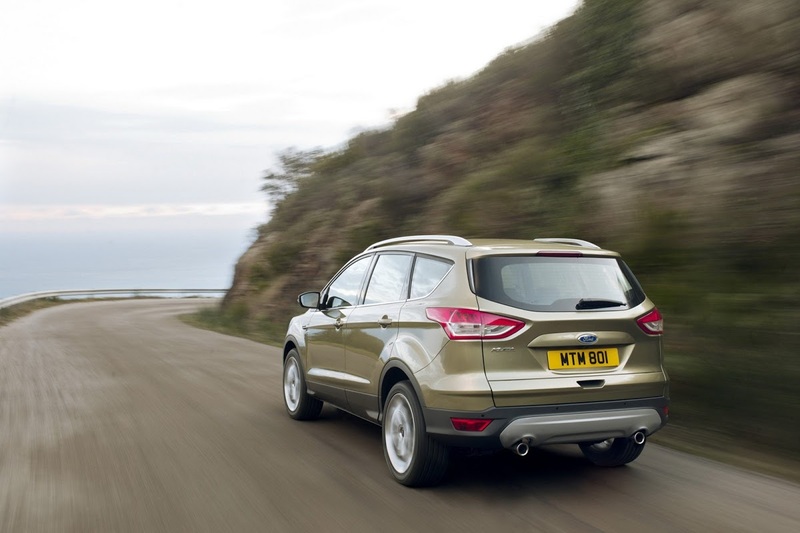 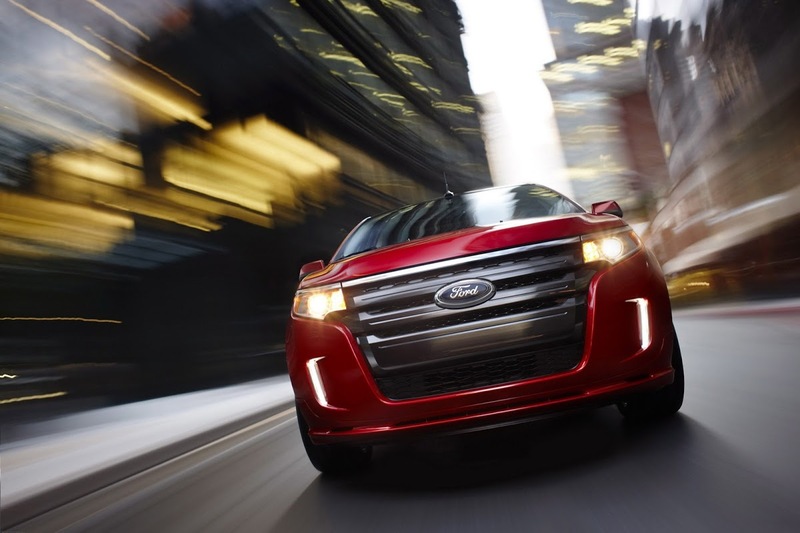 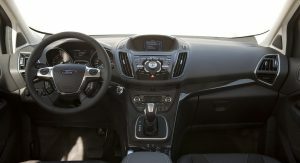 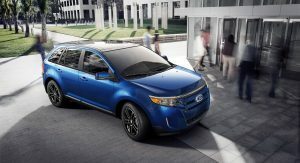 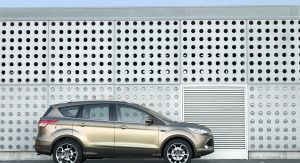 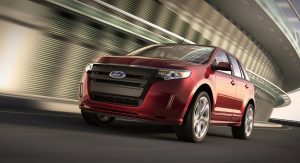 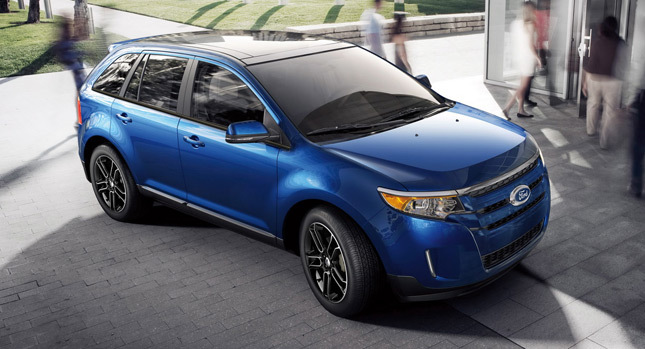 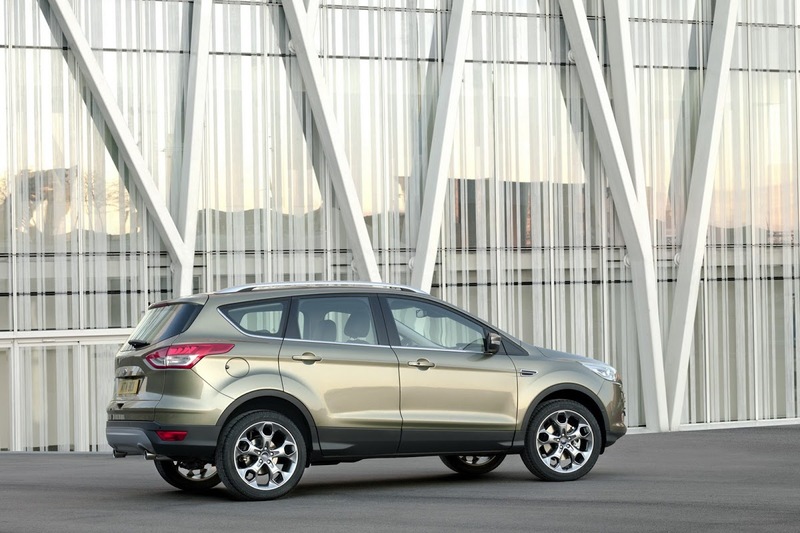 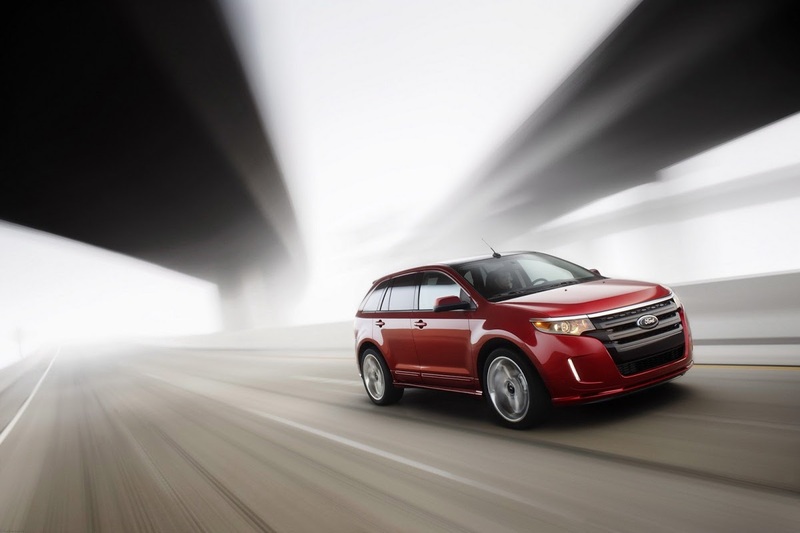 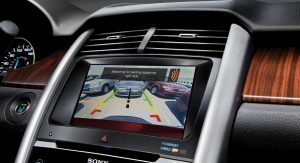 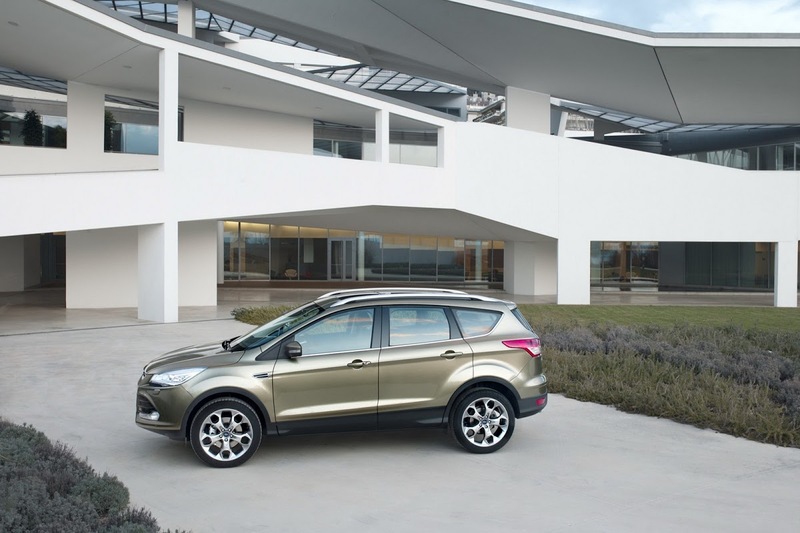 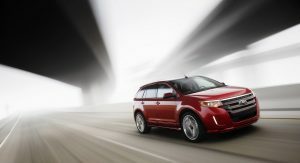 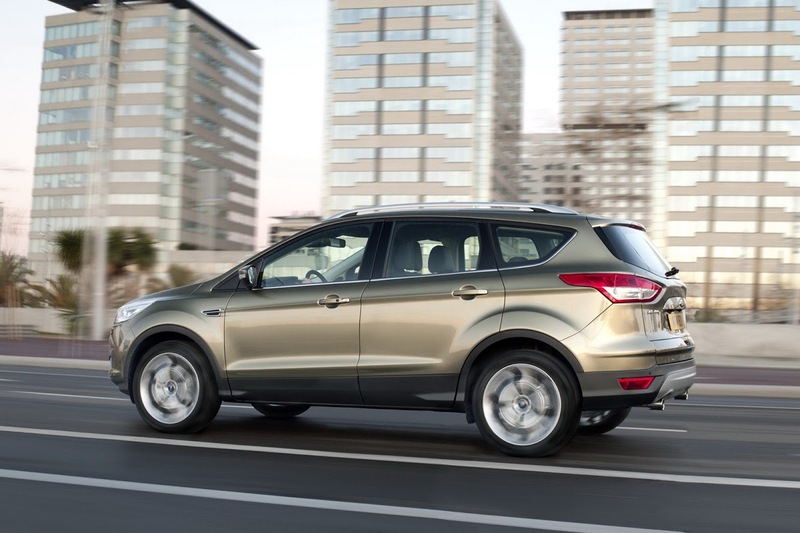 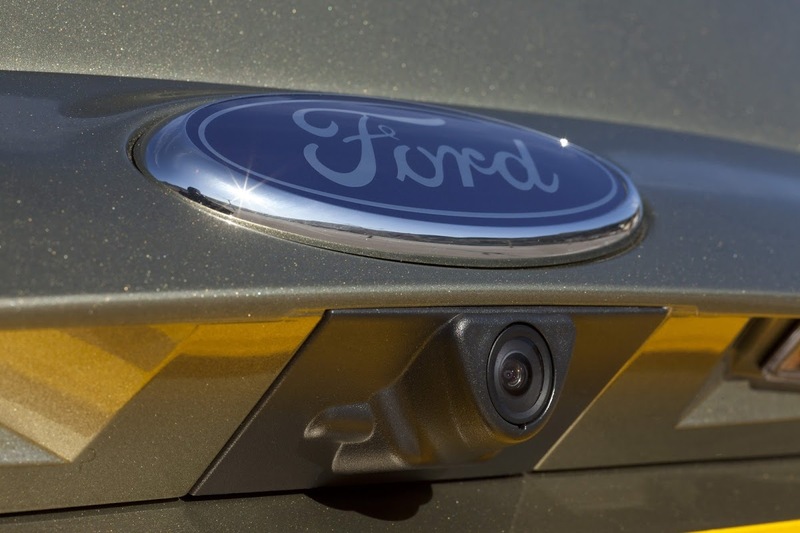 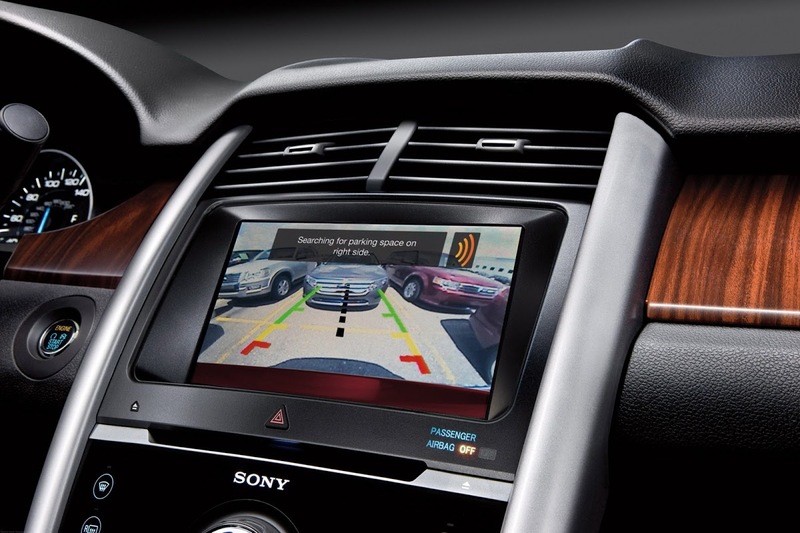 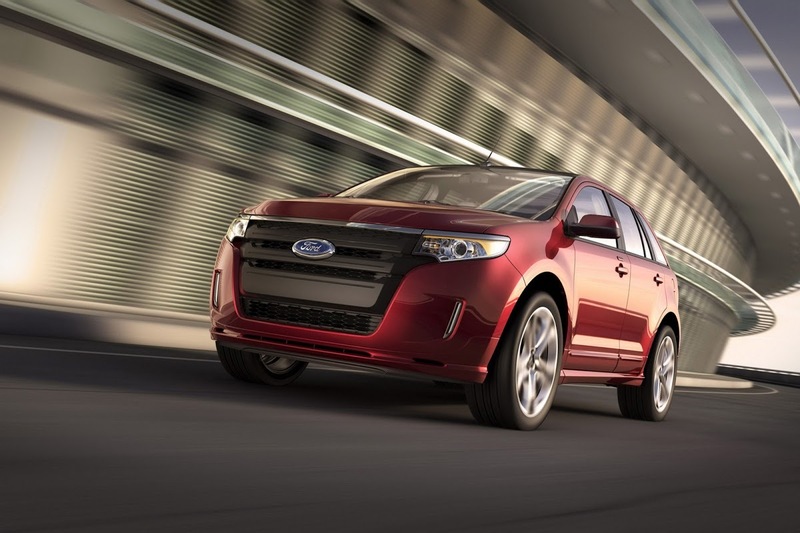 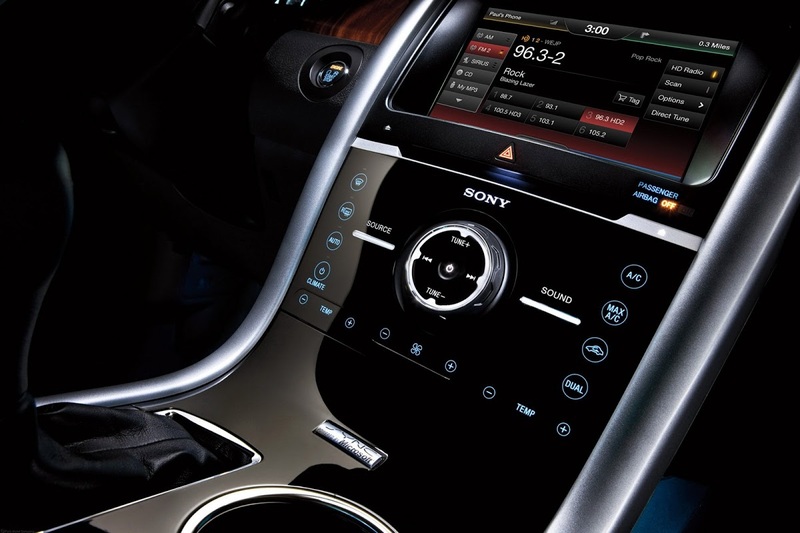 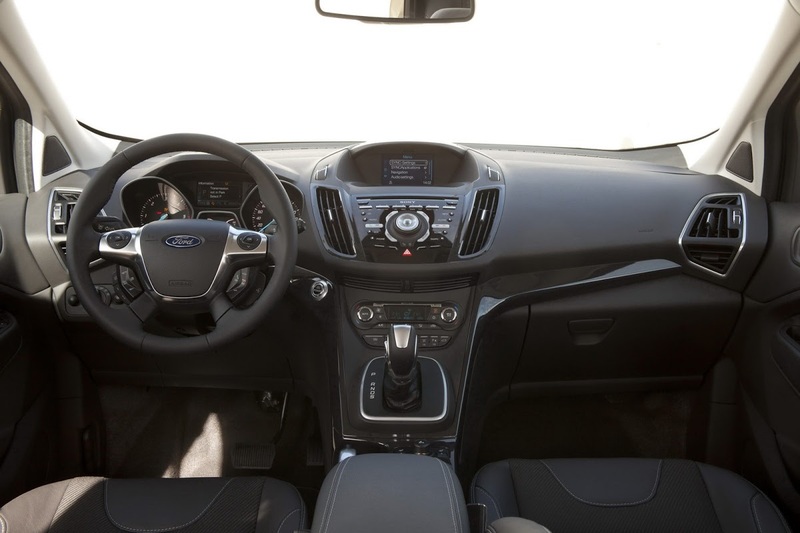 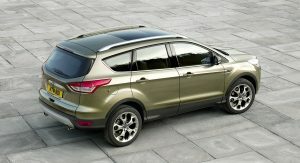 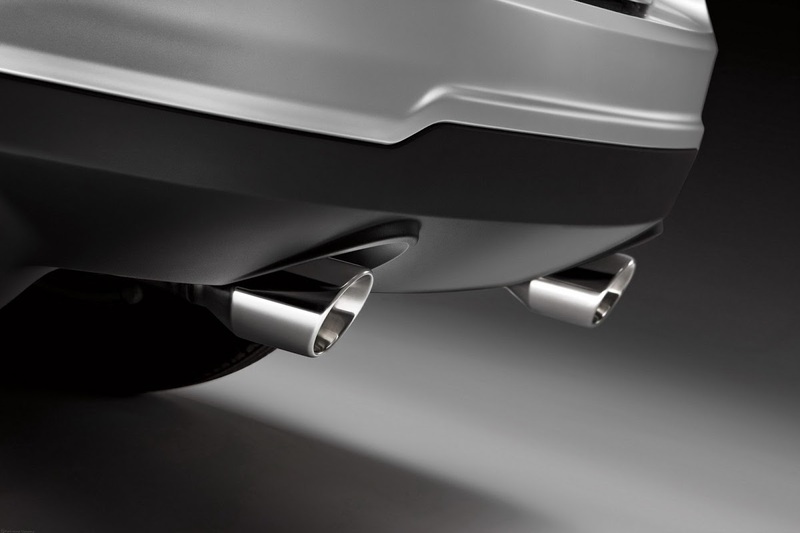 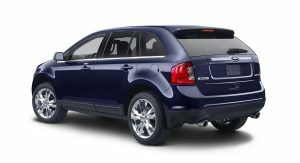 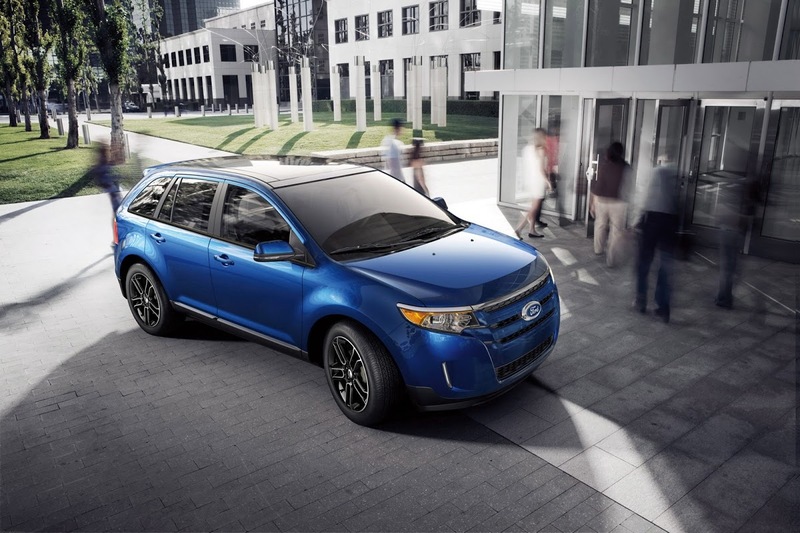 A surprise announcement from Ford was the confirmation of a third SUV model, the mid-size, North American Edge. 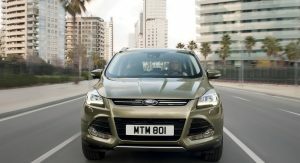 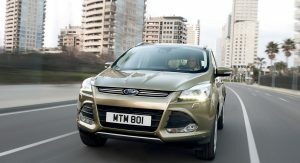 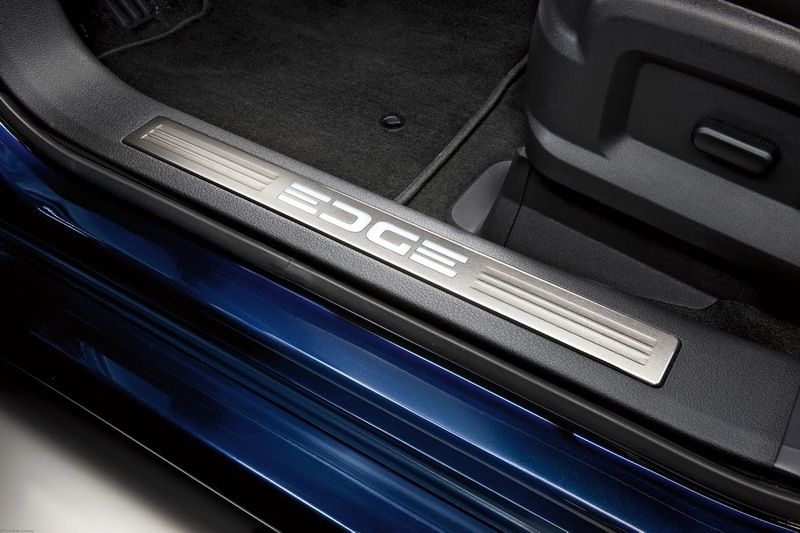 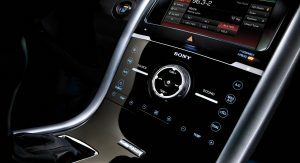 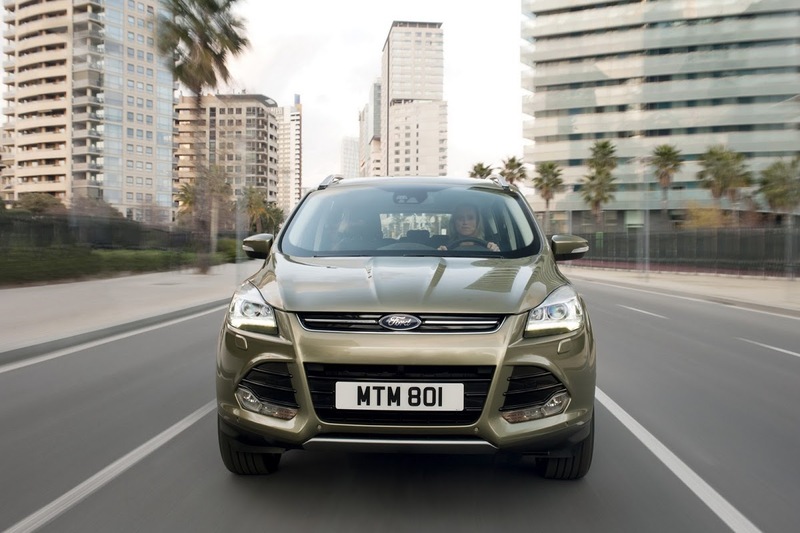 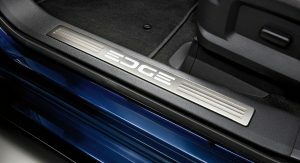 Ford wouldn’t say when the Edge will go on sale in Europe nor if it will be based on the current or the next generation of the model.